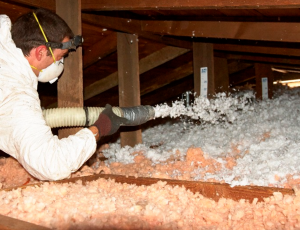 One of the easiest home improvement projects to achieve energy savings is through insulation. Precisely attic insulation, and an insulation top up for the attic can reward the homeowner year after year with savings on the home’s heating and cooling costs through reduced energy use. Experts have told us that a home’s heat loss is directly related to poor attic insulation and 40 per cent of the costs are going right through the roof. The costs of an insulation top-up will be recovered within two years of the installation of the insulation top-up and carry forward over the time you own your home. When you moved into your home some years ago, it was probably insulated, but over time, as building codes have changed, you have discovered that the insulation in your attic may not be up to a minimum of R-30, or the materials used have become somewhat obsolete. In that case an insulation top-up is recommended to increase the R-value and to boost the R-value of the older insulation, as it will still have R-value to it. If the insulation you have in your attic is ‘old,’ it may have settled some reducing the R-value because it isn’t stopping heat transfer as well as it can. The air pockets have become compressed and insulating efficiency that the pockets provided is no longer viable. An insulation top-up can help re-invigorate the settled the insulation by providing new pockets of air that will combine with the old insulation that is still functional to provide optimal thermal efficiency. If costs aren’t a factor, removing the old insulation and installing new insulation is the proper way to go. But in many cases, vacuuming up the old insulation and installing new insulation is a large cost that far and away exceeds the cost of an insulation top-up. 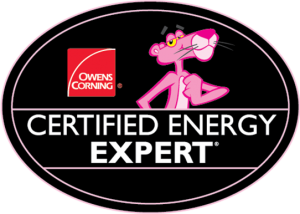 When you use Owens Corning EcoTouch Pink insulation for your attic insulation to up, you are using the most environmentally friendly product on the market. EcoTouch Pink is made with 73 per cent recycled materials – highest in the industry that takes less energy to make and fewer materials to produce. Insulation that has been installed in the past 20 or so years has been treated to repel insects and vermin, so an insulation top-up will help deter the vermin and insects from settling in your attic. For best results for an attic insulation top up, contact a professional who has the expertise to install the insulation and the wherewithal to calculate how much insulation you will need. Remember, when installing attic insulation, more is always better, as the cost savings you achieve will be directly proportionate to the amount of insulation you have installed. 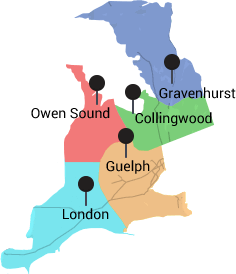 A couple of factors that will influence your decision will come from the area you live in and the lifestyle you lead. If you live in an exceptionally cold area the needs for your insulation will be greater. If you are someone who likes to walk around in Bermuda shorts in the winter, you will need more insulation than someone who will pull on a sweater when temperatures drop. Improving the density of your attic insulation will help reduce your fossil fuel consumption, limit your greenhouse gas emissions and reduce your carbon footprint and that is good for the environment.